Which is the best Combi Boiler to buy? Which is the best Combi Boiler to buy? 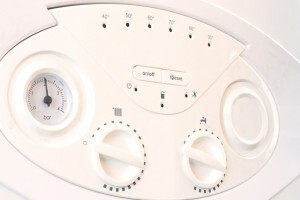 What is the right boiler for my property? Choosing the right combination of product & price when installing a new central heating / hot water system for your home can be made a little easier if you are forearmed with a good idea of what to look for in the first place – so with that in mind, here are a few pointers. Small, medium or large house? The size of your house will generally determine the size & type of boiler required because a 1 bed flat or studio is clearly going to have a lower demand for water than a 4 bed detached house. Having an underpowered boiler will result in lack of heat and an overpowered one is just wasting energy, also the “flow rate” of the boiler should be one which can readily meet the likely water demands for your home. How big is the boiler and where to locate it? The appliance does not have to be big in order to deliver a good result, with modern engineering allowing dimensions to become more compact you can fit them in many locations. There would be a warranty form the appliance manufacturer on the boiler itself, but you also need to make sure the rest of the work is covered by the company that fits the system – including a maintenance agreement. Obviously you should get a number of quotes from different companies, but in doing so you may encounter varied approaches from those who quote. The first thing to tale into account is whether you are dealing with a salesperson or an engineer. Whilst a well trained salesperson may very well be able to come up with a solution for you, in our opinion they are less knowledgeable than a qualified Heating engineer and in some cases be more interested in making the sale than looking after the clients’ best interest. In any event, you should only deal with “Gas Safe” registered installers when fitting gas fired water & central heating systems.